Program; 8:00 p.m. to 10: 30 p.m.
610 F Street NW, Washington, D.C. The Congressional Black Caucus Foundation (CBCF) and the Congressional Black Caucus (CBC) Spouses will recognize the contributions of African Americans that have made substantial contributions in the arts at the Celebration of Leadership in the Fine Arts. This year’s honorees are renowned award-winning filmmaker and actor Spike Lee, GRAMMY award-winning gospel artist, Yolanda Adams and emerging soprano Simone Paulwell, the event will be hosted by actress Tichina Arnold. During the Celebration of Leadership Spike Lee will be presented with the Lifetime Achievement Award for his innovative contributions to the arts. Yolanda Adams will receive the Lifetime Achievement Award in social justice, and Simone Paulwell will receive the Trendsetter Award for her rising career in the fine arts. 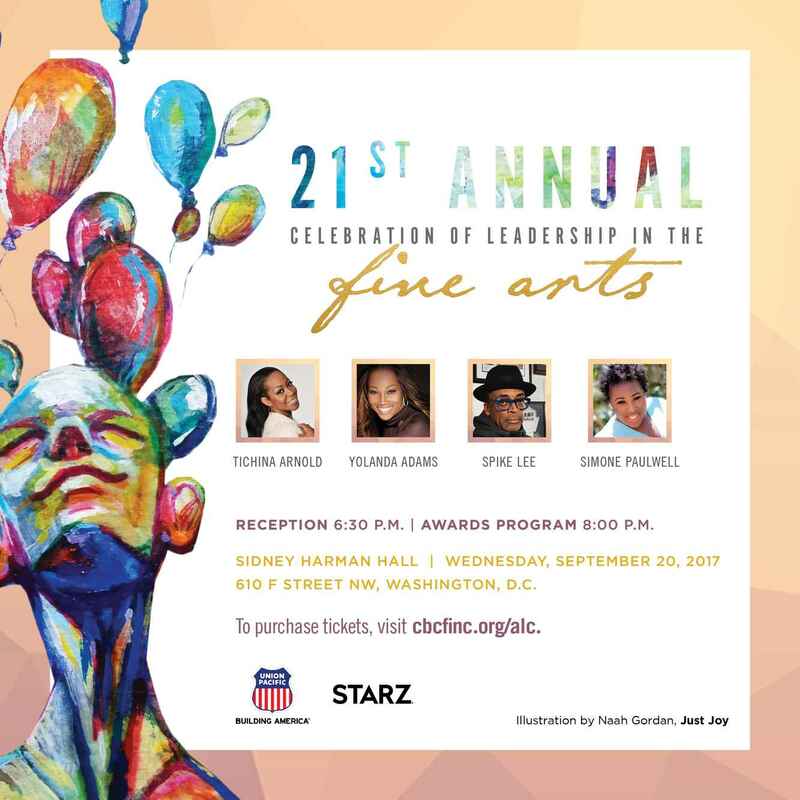 This fundraising event for scholarships in the performing and visual arts kicks off the 47th Annual Legislative Conference (ALC) at the Walter E. Washington Convention Center on Wednesday, September 20, 2017. To register for the ALC, visit cbcfinc.org/alc. For media registration or if you are a member of the media seeking credentials to events for reporting purposes, please visit http://bit.ly/2ttYmOZ.